For the entire month of October, Kabir and I studied about Italy and we concluded our study with an Italian party in November with our dear friends – Crabbs. It was so much fun studying Italy with Kabir. He was so passionate and in such an “Italian” mood all the time! The highlights were watching Pinocchio in Italian, visiting our dear friends Frerers to get a feel of Italian culture, eating Italian food for a month, reading Italian version of fairy tales and so on. Fortunately, we got the opportunity to visit Italy at the Epcot in Disney World. Kabir made an Italian flag out of Lego. Also, he made population graph and religion graph so that he could see a practical application of graphs. With religion graph, he got an idea of the importance of percentage. 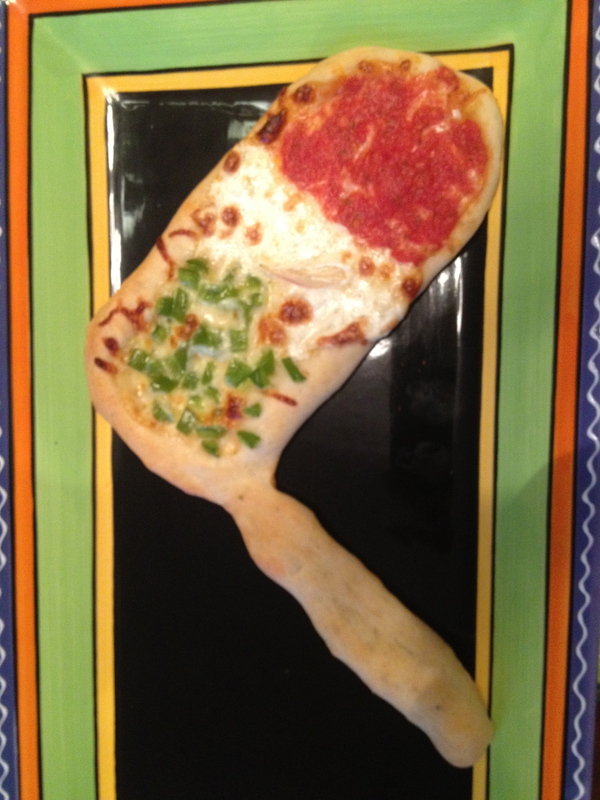 Also, we created a model of Leaning tower of Pisa, and gondola. 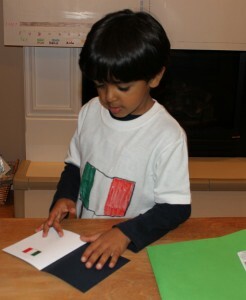 We even painted a shirt for Kabir with Italian theme for the Italian party. At the Italian party, the Crabbs gave us an opportunity to make handmade pasta. It was not only fun but also the most delicious pasta I ever had. 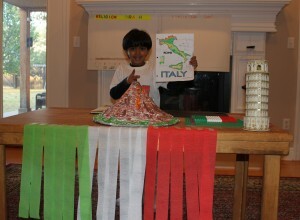 After enjoying Italian dinner, Kabir and Sam Crabb gave an adorable presentation on Italy. To conclude we tried to erupt a volcano. It didn’t work but we got the idea. Overall, it was so much fun and we learnt a lot!!! In the end, he earned the Italian flag sticker in his pretend passport with autographs of both his grandmother and grandfather! If you feel upto it, you are most welcome to watch his presentation videos.